Needlepoint in September with a renewal of membership! Our group, the Colorado Columbine Chapter of American Needlepoint Guild is meeting on Monday, September 16, at 6:50 pm at Bethany Lutheran Church in Denver. 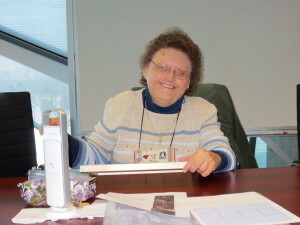 Our president, Lea K., leads us each month as we discover new needlepoint techniques, stitches and friends. On the 16th, our program chair, Barb G., will introduce a new project: Cookie-Cutter Contest. Canvas in 14-gauge will be available free, and some 18-count canvas will be available for a small fee. Bring a favorite cookie cutter to trace and finish your entirely personal design by November’s meeting to enter the judging! Get creative and crazy with your own design and threads! Sky’s the limit here! Also, it is time to renew our annual memberships! Keep needlepoint alive and kicking with a low-cost membership in CCC-ANG ($26). 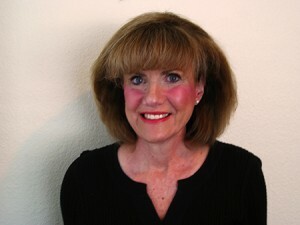 Membership chair Tina H. will be encouraging each of us to pay now and glide into holiday stitching carefree. Let’s make her job easier and pay on time. See Tina on the 16th and renew your annual membership. Or, find her mailing address in the roster and get your $26 check in to her asap! You will NOT want to miss a moment of needlepoint enjoyment. Also happ’nin September 12-15 is another bead show at the old Denver Merchandise Mart Annex, 451 E. 58th Ave. Admission is free to check out the bead artists, merchants, buttons, jewelry, antiques, books, tools and supplies. For more info, see The Renaissance Bead Show at www.beadshow.com . And the Colorado Needlepoint Roadshow was a sure hit with members! 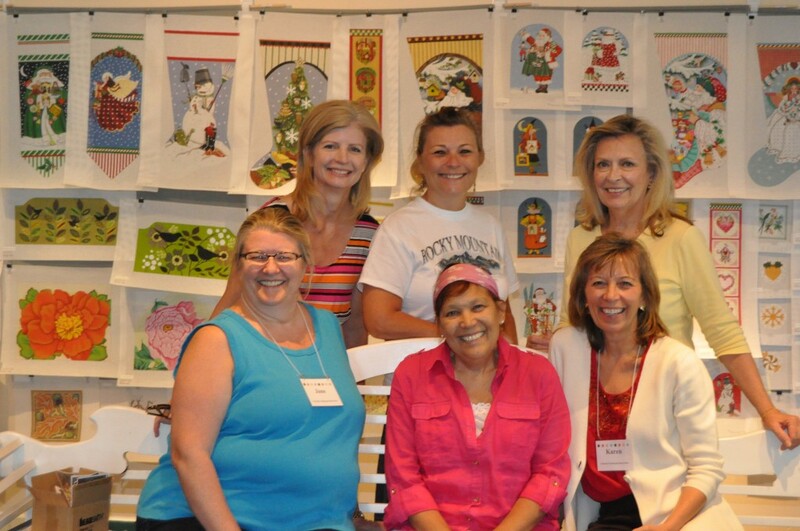 Columbine members enjoyed the Needlepoint Roadshow.